Breeders' Cup announced it will hold its two-day championship event at Santa Anita Park in 2013, for the second year in a row. Nothing against Santa Anita, but as a fan, I liked the Breeders' Cup a lot more when it rotated its venue every year. The rotation that went California-New York-Kentucky-Random Track was perfect. Every fourth year we got to see the Breeders' Cup at a mid-level track such as Arlington Park, Monmouth, Lone Star, etc...and there was balance between the East Coast, Midwest, and the West Coast. As a fan, to me it felt like we all owned a piece of the championship day. I realize there are monetary and logistical reasons Breeders' Cup is going away from the rotation, but I do think it takes a little something away from the spirit of the event. Remaining at Santa Anita grants a huge competitive advantage to the West Coast-based horses and their connections in 2012 and '13. We analyzed the FourStarDave Handicap (G2) today on That Handicapping Show. Despite a Saratoga turf that often carries horses with forward energy profiles, I could not resist Data Link, who is a standout on may favorite angle on the turf: late pace. Twice, Data Link has turned in 22-1 final quarters (on 12-4-11 winning a NW3 at GP, and when winning the Makers Mark [G1] at Keeneland on 4-13-12). His fifth-place finish in the Turf Classic on Derby Day was a complete toss. He never got enough room to use his acceleration. This four-year-old War Front colt has really come into his own the last eight months. The result of the FourStarDave could be the deciding factor in which Breeders' Cup race trainer Charles Lopresti points Wise Dan to. Dirt Mile? Classic? Turf Mile? I am travelling to Chicago for the Arlington Million next week, and Blood-Horse is going to host a chat on Friday, August 17 at noon, for us to share handicapping angles. More details to follow. 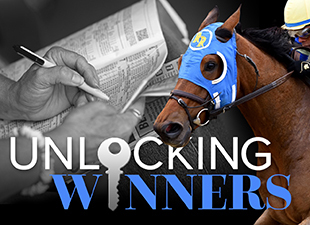 Time to start handicapping this weekend's races.